Alaskan pea seeds are planted 2 inches apart at the depth of 1 to 1 1/2 inches. Space the rows 24 to 30 inches apart to leave room for weeding and harvesting. Germination takes one to two weeks when the soil is kept moist. Alaskan pea plants grow to the height of 26 to 36 inches. Provide support for the pea plants to keep them out of the way of feeding slugs and plant diseases. Alaskan peas are considered a shelling pea, which means that the peas are taken out of the pod to eat. This pea variety is commonly eaten fresh, frozen, canned or dried. Alaskan peas are smooth and not as sweet tasting as wrinkled peas. 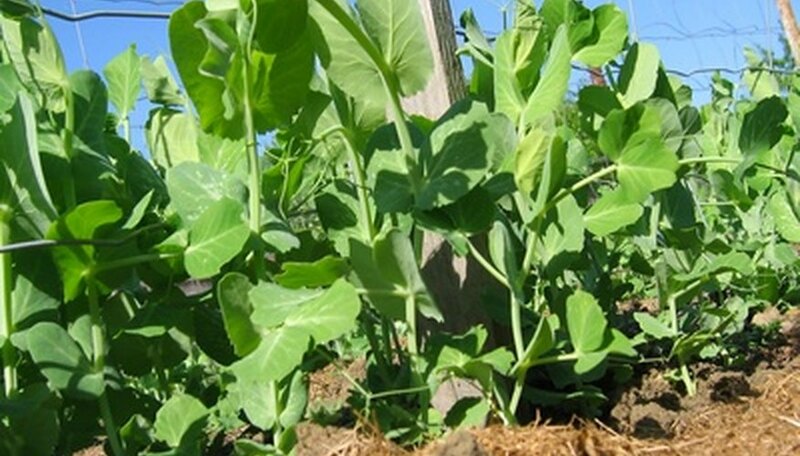 Alaskan pea plants enjoy a cool, humid climate and well-draining soil on the sandy side. This pea variety tolerates frost well. In fact, hot spells cause more damage to the Alaskan pea plants than frost does. Alaskan pea plants mature in 56 days. Pick the pea pods before the peas are fully mature. Do not allow the peas to dry out on the plant unless you are saving pea seeds for next year. Home gardeners harvest peas several times as they grow. Commercial pea growers pull the vines up and strip the pea pods off the vines. Peas originated in Central Asia, the Near East, Abyssinia and the Mediterranean. This vegetable is grown as a winter crop in the Mediterranean area. Pea plants were introduced to the Americas right after Christopher Columbus’ first voyage. Alaskan pea plants are available in different varieties. Types include Alaska Early, Alaska, Super Alaska and Alaska Wilt Resistant. Alaskan pea plants are susceptible to leaf spot, powdery mildew, wilt, downy mildew, pre-emergence damping-off, grey mold, root rot and bacterial blight. Pea pests include aphids, thrips, pea seed beetles, seed weevils, pea midges, cutworms and nematodes. Purdue University: Pisum sativum L.